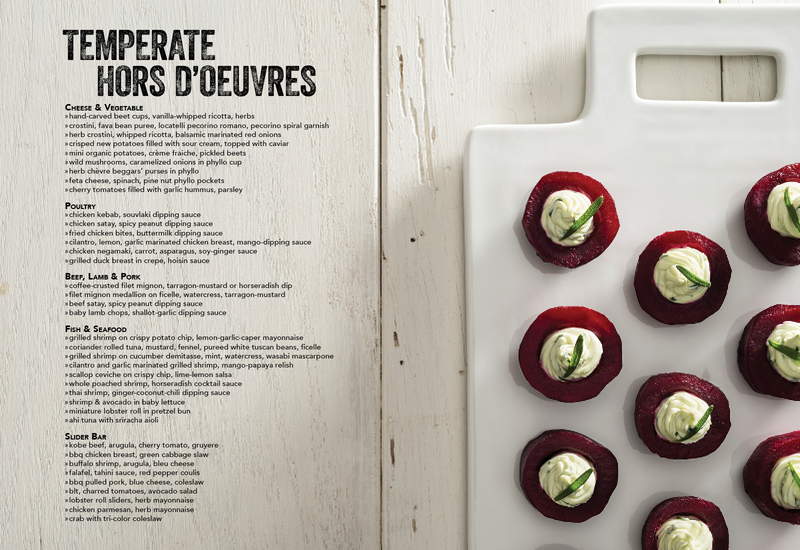 Our chefs are constantly experimenting in the kitchen and creating new, seasonal hors d’oeuvres and canapés to serve at our events. 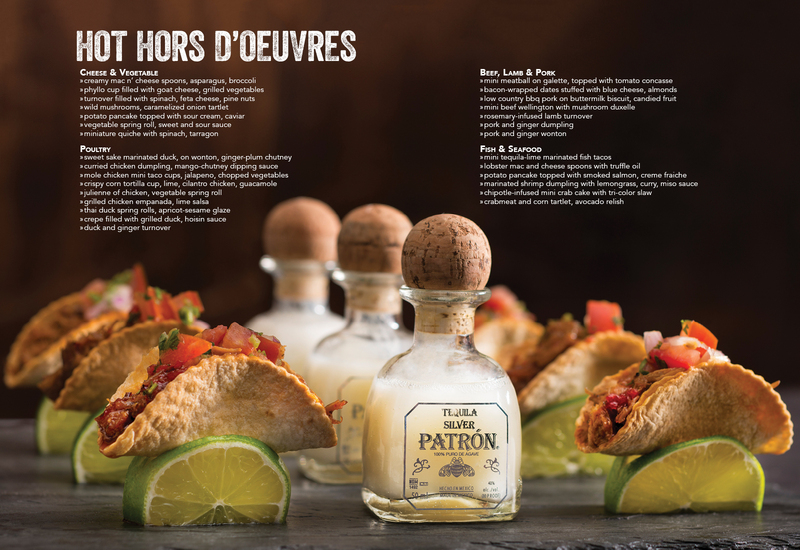 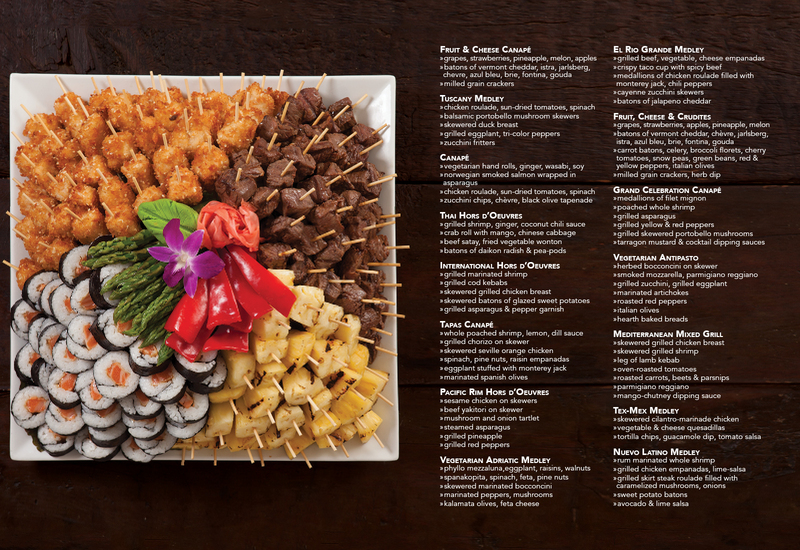 Below we have listed some sample butler-passed hors d’oeuvres from our events menu. 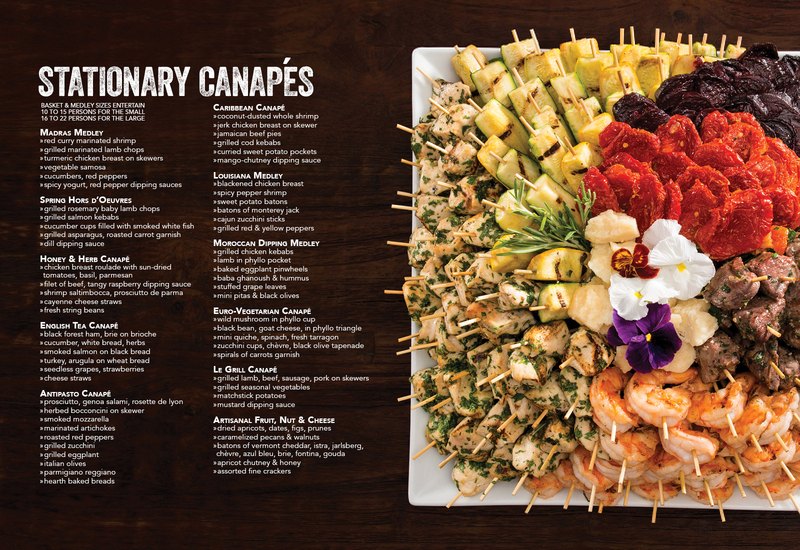 But every event is distinct, which is why we create fully customized menus for each of our client’s parties based on the freshest ideas of the season.